Henry IV part I est fabula historica a Gulielmo Shakesperio composita. Scripta est anno 1597 vel antea, edita in quarto bis anno 1598 rursusque 1599, 1604, 1608, 1613 et 1622, et in editione in folio (titulo Mr. William Shakespeares Comedies, Histories & Tragedies) anno 1623 complexa. Barker, Roberta. "Tragical-Comical-Historical Hotspur." 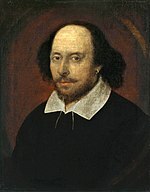 Shakespeare Quarterly 54.3 (2003): 288 – 307. Greenblatt, Stephen. "Invisible Bullets: Renaissance Authority and Its Subversion in Henry IV and Henry V." In Political Shakespeare, edited by Jonathan Dollimore and Alan Sinfield, 18 – 47. 1985. Sisk, J. P. "Prince Hal and the Specialists." Shakespeare Quarterly 28 (1977).